Bluewater Productions latest offering in it's popular line of Fame biography comics features up and coming boy band One Direction. One Direction are a British-Irish boy band consisting of members Niall Horan, Zayn Malik, Liam Payne, Harry Styles and Louis Tomlinson. Chronicling their beginning on the popular reality show X-Factor, to their up and coming gig performing on SNL. Tigerbeat says "One Direction" is the next big thing, so fans will want to reserve their copies today! Ethan Falls was once a respected superhero - until his drinking got the better of him. Now he finds he is unable to provide for his young family, and his own sense of failure starts to beckon him towards easy money... and a life of crime! The year 2009 marks the 30th anniversary of the Paramount Pictures film classic, The Warriors, directed by Walter Hill, who later went on to direct 48 Hours, Last Man Standing, and the acclaimed series Deadwood. Now, for the first time, this movie phenomenon has been adapted into a thrilling graphic novel. The story chronicles one night in the lives of the New York City street gang, the Warriors, and their harrowing journey for survival and redemption. Cyrus, the messianic leader of the city's largest gang, the Riffs, declares a truce and calls a summit in the Bronx with all the rival gangs in attendance. Cyrus's vision is to unify all the gangs into one superorganization, one that the cops will never be able to control. But during the meeting, Cyrus is assassinated, and the murder is pinned on a member of the Warriors. With no time to prove their innocence, the Warriors have no choice: they must run - for their lives and for their honor. But it's a long, long way from the Bronx to Coney Island, especially with an entire city of ruthless thugs swearing vengeance and out for blood. Far away in space, there is a planet populated by machines able to change from robot form to vehicle form — the Incredible Change-Bots! Leaving their war torn planet, the Change-Bots arrive on Earth, where their battle continues, but at what cost? Part parody, part nostalgic tribute, part moral fable, with The Incredible Change-Bots Jeffrey Brown re-invents the shape changing robot genre into a heart stopping action comedy that's full of romance, half drama, and epic battles! The first Full-color graphic novel from Jeffrey Brown is an all-ages friendly (only one guy and some robots die) immersion into sci-fi fun! Four years ago, an alien race of shape-changing robots came to Earth, fired ray guns at each other for a while, then gave up and flew away. But they left behind one thing: Shootertron, the semi-cunning leader of the evil Fantasticons! Fortunately for Earth, Shootertron's memory is a little fuzzy. Unfortunately for Earth, the rest of the Incredible Change-Bots seem to be on their way back! Hilarious and gleefully childlike, Jeffrey Brown's Incredible Change-Bots Two is a nostalgic tribute not only to Saturday morning cartoons but also to Jeffrey Brown's Incredible Change-Bots One. In this original graphic novel, Batman meets his foe The Mad Hatter for the very first time - landing The Dark Knight in a Won-derland he could never have imagined, hot on the heels of a white rabbit. But is this strange place real, or a hallucination? Robinand Alfred have to believe he's deep in delirium - but if that's the case, how does he manage to resolve several mysteries that have plagued Gotham City for decades. This fantastic tale is spun by renowned comics writer Bruce Jones (THE INCREDIBLE HULK) with surreal art by Sam Kieth(THE MAXX, BATMAN: ARKHAM ASYLUM - MADNESS, LOBO). It's been three years since the devastating events of ALL HAIL MEGATRON. The Earth has been rebuilt, the AUTOBOTS are in hiding, and the next great era in the TRANSFORMERS saga is about to begin! Critically acclaimed writer Mike Costa is joined by superstar artist Don Figueroa for IDW's biggest book of the year-the launch of the first ongoing TRANSFORMERS title in five years! 353 pages! Alex Robinson, "the master of true-to-life relationship drama" (Library Journal), has created another tour de force. Tricked follows the lives of six people -- a reclusive rock legend, a heartbroken waitress, a counterfeiter, an obsessive crank, a lost daughter, and a frustrated lover -- whose lives are unconnected until an act of violence brings them spiraling in on each other. Combining intriguing characters with a story structure that is both complex and innovative, Tricked is not to be missed. Featuring a never-before-seen story by the regular creative team, as well as Cyberforce Volume 2, this collection tells the story of Cyberforce's brush with extinction and their rise from the ashes. 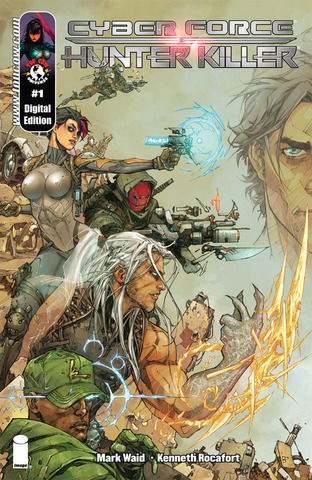 New pages bridge the gap between the Cyberforce #0 story by Marc Silvestri and the six-issue series by Ron Marz and Pat Lee. 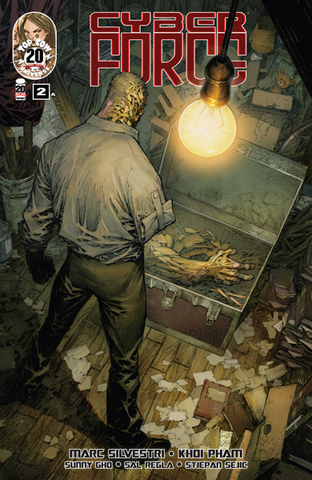 Two of Top Cow's most popular properties are back in a big way! 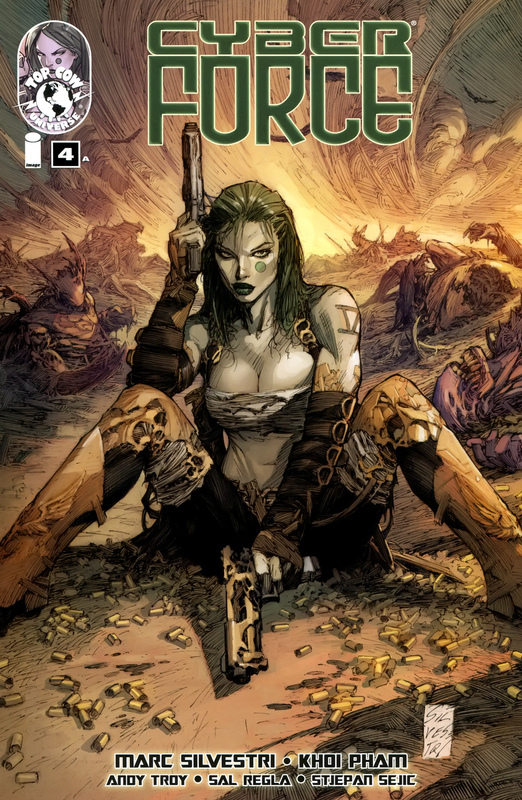 Cyberforce, the original creation of Marc Silvestri (Dark Avengers/X-Men) which launched Top Cow and helped launch Image, and Hunter-Killer, Silvestri's most recent co-creation with superstar writer Mark Waid (Kingdom Come, Amazing Spider-Man) return in the biggest Top Cow event of 2009. When two old enemies of the teams unite for a diabolical alliance, the teams must put aside their mutual distrust and join forces to stop them from getting control of unparalleled information banks. But in the end and far too late, they discover the goal is much, much more sinister. 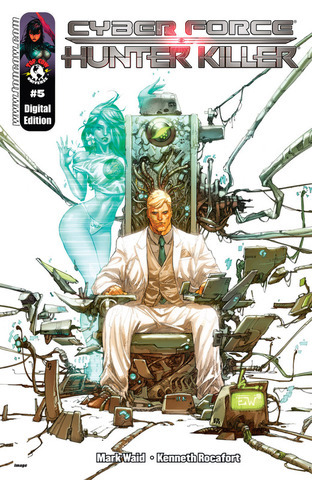 Collects Cyberforce/Hunter-Killer #1-5, and includes a cover gallery and bonus materials. John Henry, a former slave, wasn't about to let some new-fangled steam hammer replace his ability to earn an honest wage as a steel-driving man. He'd beat that machine, or die with his hammer in his hand. We all know the outcome of that legendary contest. In this alternate history, however, John doesn't die in his heroic effort, but instead slips into a coma, only to awaken to his worst nightmare. A robotic uprising has occurred, and a new age has dawned - the Steam Age! Now the only thing that can free the human race from the very machines they've created is John and his hammer. John Henry: The Steam Age is an exciting re-imagining of the story of John Henry in a steampunk setting. Elon Soloman was the mayor's best friend and bodyguard. During a visit to his doctor he found out that he had cancer. On medical leave from his job he started cancer treatment and after several chemotherapy treatments he began to see invisible evil creatures called echoes. He takes on odd jobs like investigating philandering husbands, protecting a family from a group of armed thugs and the oddest job of all, fighting the echoes themselves. How does a man struggle with his own mortality while trying to help others? That is Elon's journey. In an age of darkness in the bowels of history, the gods gathered to fight the evils spreading across the land. Anubis, the Lord of the Necropolis, was chosen to bestow a portion of his might upon a worthy champion. The Anubis Warrior's powers passed from champion to champion throughout the ages until the evil was vanquished. And then it slumbered. . . When a young man discovers an amulet deep within a pyramid in Egypt, he is drawn into the struggle of gods as the threats from the past return to reclaim the planet once more as this age's first Anubis Warrior. The second volume in the Seven Brothers series. First, they were strangers. Individuals from all across the globe linked by an unlikely destiny and an unknown blood tie. Now, they're a family. And like all families, they've got their issues. So when a mysterious figure from a past Rachel Kai thought she put behind her comes gunning for all their blood, the 7 Brothers must join forces once again to save the life of one of their own! Written by Benjamin Raab and Deric A. Hughes (writers on the television show, Warehouse 13), and with pencils by Edison George (Silver Scorpion, Eternity Kill), this next chapter in the saga of an unlikely band of brothers charts a bold new course for these heroes that promises to thrill fans both old and new! Created by acclaimed filmmaker John Woo, (Mission Impossible 2; Face-Off; Red Cliff) and written by acclaimed comic book writer Garth Ennis (Punisher, The Boys, Preacher) with striking artwork from Jeevan J. Kang (Nowhere Man, Ramayan 3392AD, H20). The first graphic novel from superstar action film director John Woo. Six hundred years ago, a mighty treasure fleet set out to sail the oceans of the world. They reached every continent, and discovered every land long before history's great explorers stole credit for their feats. Now, in modern day Los Angeles, seven men with nothing in common but their destinies are drawn together in the service of a mysterious young woman. An ancient prophecy must be fulfilled. Something terrible is reaching out across the centuries. There's a world to be saved, and the only hope for us all is a power too terrifying to be used. "Ennis brought his A game to this project." (Rating 8/10) - Bam! Kapow! Wrongly branded a traitor by his fellow samurai, Amane is attacked and left for dead. When he is found by a mysterious tattoo artist, his life is saved—and changed forever! Connected to an immortal oni through a mystical tattoo, he creates a new life for himself as Enma, an apprentice tattooist. But Enma's new life comes at a price he has yet to realize… ? Based on an acclaimed novel, Ura-Enma by Fumi Nakamura, from Japan. Iron Man left two lives behind when he vanished, but can he avoid his former mistakes in his new one? The armored Avenger takes on Hydra, Heralds and the Hulk - and the eyes of the Marvel Universe are upon him in the form of Loki, the Watcher and Onslaught himself! Featuring Doc Samson and... or rather as ...the Abomination! Plus: Rebel O'Reilly, later of Thunderbolts fame!